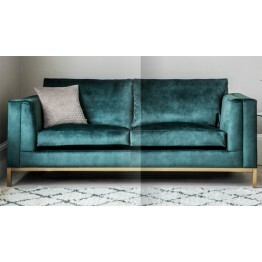 This is the Treyford Sofabed from Gallery Direct, it comes in many different fabrics and bronze effect metal underframe. The mechanism works the same as the other Gallery Direct sofabeds and there is a choice of mattresses available. The Treyford 140 Sofabed from Gallery Direct & Hudson Living has an edgy and modern appeal about..